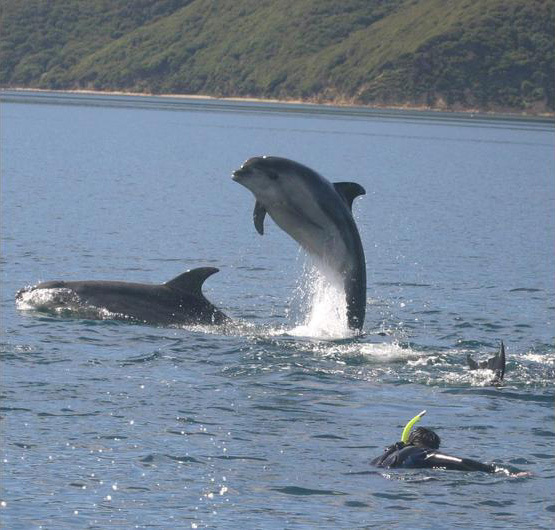 Cruise the beautiful Marlborough Sounds and view the incredible Hector’s Dolphin. They might even perform their acrobatics around the boat (2 – 4 hour tours – depending on the Dolphins). Should you encounter the dolphins, you might choose to plunge in, joining them in the water for a wild and unique experience. All Snorkeling equipment is supplied. 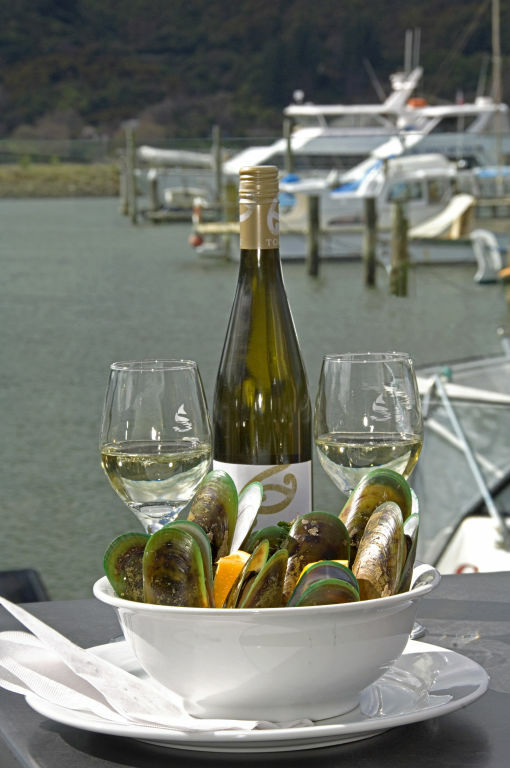 You may opt to visit the Mussel or Salmon farms, being spoilt with local seafood delicacies and wines on a 3 hour cruise from Havelock. Stops can be made along your cruise to walk the natural forest trails on the Motuara Bird Sanctuary or include the King Shag Colony. Transport from your accommodation in Blenheim can be arranged. Take a luxury wine tour to discover the hidden secrets of wine making at vineyards of your choice. Let the experts guide you on matching local reserve wines with gourmet foods. We offer a range of tours so your day may include a swim with dolphins in the Marlborough Sounds followed by a 5 course gourmet meal after learning the intricacies of wine making with a master winemaker. You may want to visit the mussel or salmon farms or hear about the arts of bee keeping or making your own liqueurs. No need to worry about driving after the cellar door visits or falling asleep after a scrumptious lunch. Pamper yourself with a relaxing spa treatment or perhaps a helicopter ride to view the sunset over the mountains. Let us put together a holiday that will be really Memorable! Combine a visit to the Aviation Museum with a tour of Marlborough’s stunning vineyards to taste our other famous product – Sauvignon Blanc, the Aromatic white wines and our delectable Pinot Noir. We stop for lunch (own cost) at a vineyard restaurant and pick up and return to your accommodation is included. This 5 hour tour costs NZ$140 per person, and includes entry to one of the aviation exhibits and all standard wine tasting fees. The tour can be modified to include more time at the Aviation Museum or more time in the wineries, on request. An early morning start will transport you from your accommodation to the tranquil waters of the Queen Charlotte Sound where your luxury catamaran awaits. Learn the ecology of the Sounds from the experts and the 4 hour cruise will carry you in comfort to find the playful Dolphins which feed in the Sounds. For the adventurous, you can don a wetsuit and actually join the dolphin pods in their natural environment. What a photo opportunity ! The cruise is followed by a well-earned single course lunch at a vineyard restaurant and the rest of the day is spent savouring the stunning array of wines available at the Marlborough wineries. Our zesty Sauvignon Blancs and delectable Pinot Noir will satisfy the most discerning palates and we visit a selection of cellar doors to enable you to enjoy as wide a range as possible. Let Jade Tours make your Marlborough visit truly memorable. The Jade ECO tour will show you some of the magnificent creatures that call Marlborough “Home”. We will collect you from your accommodation and take you on the scenic drive to Picton to join a Dolphin cruise. For the ultimate thrill, don snorkelling gear and go for a swim with the dolphins as they play in their natural environment. After lunch at a vineyard restaurant (own cost), you will view a flying display by an endangered New Zealand Falcon. Learn about the efforts being put into their preservation and pose for that ultimate photo of you with a Falcon on your arm ! We move on to a small Sheep farm where you can cuddle the lambs (in season) and help process a raw wool fleece into a knitted garment. Larger groups can visit a working sheep farm and watch the sheep dogs in action and a sheep shearing display. Other possibilities include feeding our beautiful Black Swans or even a visit to our Seal colony. Stay away from the adults but the pups are unafraid as they gambol in a river pool beneath a waterfall. Tours start from NZ$200 per person and we would be happy to build a unique tour for YOU, depending on the season. Travel in a new luxury 12 seater minibus down to Kaikoura it’s well worth the time to see the Seals with their pups playing in the water. Enormous Sperm and Humpback Whales may be spotted as they pass up the coast on their migration but there is a resident pod of whales in the depths off Kaikoura. 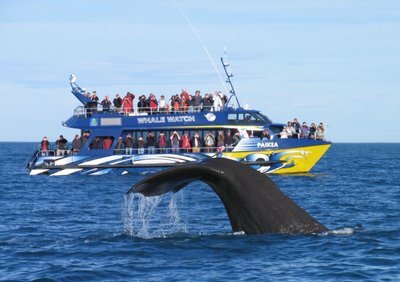 Travel time to Kaikoura is about 2 hours and Whale tours last 2 ½ hours ( at NZ$ 150 pp. ) Refunds if whales are not sighted. Up to 4 Whale watch tours are run each day in the summer season. 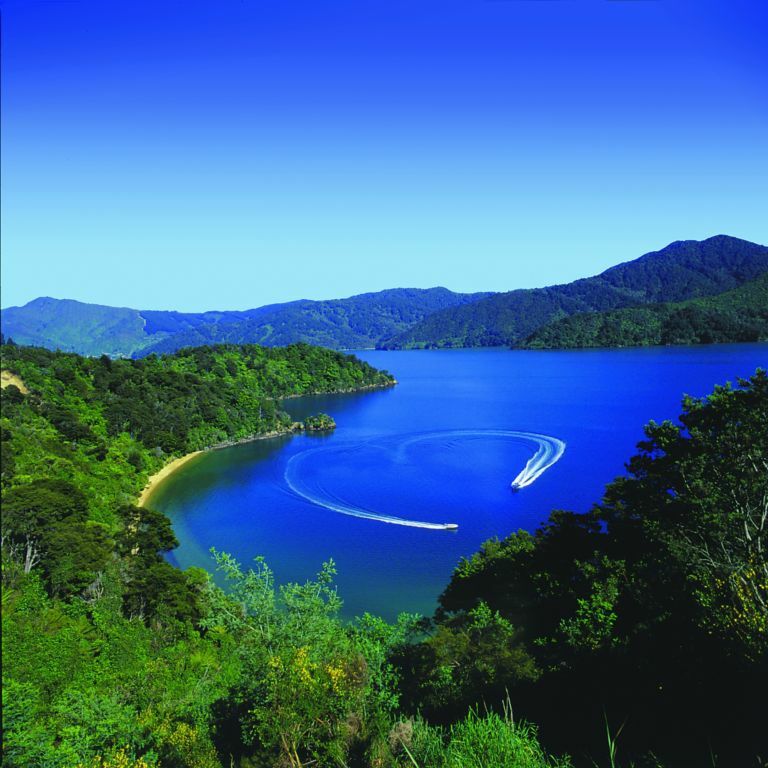 Charter a Plane to get that even more spectacular view of the Marlborough Sounds and the Wairau Valley vineyards. A Helicopter can take you to more remote places, including some of the stunning backdrops to scenes in the Hobbit movies. Alight in the wilderness and be spoiled with a gourmet picnic lunch and bottle of Marlborough’s finest to savour with the views. What about the thrill of a lifetime by going up in a vintage open cockpit Bi-plane – fully serviced and in perfect flying condition. Feel the wind in your hair like the fighters of old ! A Float Plane can probe the coastline of the Sounds and deliver you to your luxury lodge hideaway. Our JADE WINE TOUR will depart from the I-Site in Picton. Shuttle buses are provided free from the quay to the I-Site (a distance of 2 kms from the large ship quay) and departure times are worked around the times that ships dock and passengers are allowed to disembark. You will be returned to the Shuttle terminus a minimum of 1 hour before the last shuttles leave for the ship. We do not compromise on an earlier return to port ! From 1 October for the 2018 / 2019 season, the tour price is NZ$ 120 pp (depends on tour duration determined by ship departure). Our 2019 – 2020 cruise ship season price will be NZD $130 pp. 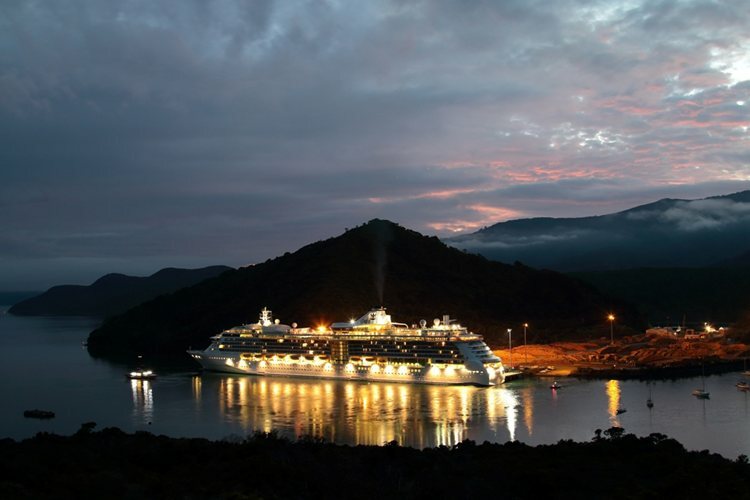 Please contact us by email prior to your arrival in Picton on a Cruise Ship. Tasting the hand-made gourmet chocolates at the Chocolate factory is a brilliant way to end this exceptional day and arrive back in Picton at least 90 minutes before your ship’s departure.